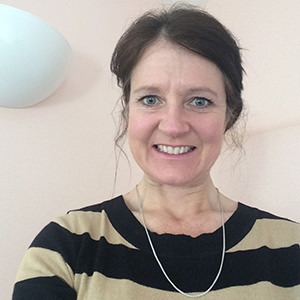 Kate Pemberton is a BABCP registered cognitive behavioural psychotherapist. Kate qualified as a CBT therapist in 2010 and has been practising since this time. In 1994, Kate qualified as a mental health nurse. She works as a full-time therapist and maintains her professional nursing registration. Kate’s CBT role involves working with clients who present with a variety of problems, including anxiety, chronic low mood and depression, OCD, PTSD, social phobia and low self-esteem. Clients will sometimes present with developmental disorders, such as Asperger syndrome. Kate has a specialist interest in working with those people who present with anxiety disorders and co-morbid developmental problems, which can lead to deterioration in daily functioning and quality of life. In 2014 Kate completed an acceptance and commitment therapy course, which also included mindfulness practice. Kate will integrate these approaches into daily practice and has co-facilitated groups. Kate completed a CBT supervision course and provides supervision and consultations for those who are on a CBT post-graduate course. Kate has experience of working in both the NHS and in private practice and is a dedicated practitioner in all areas of her work.